Quinceaneras - Evansville Limo . 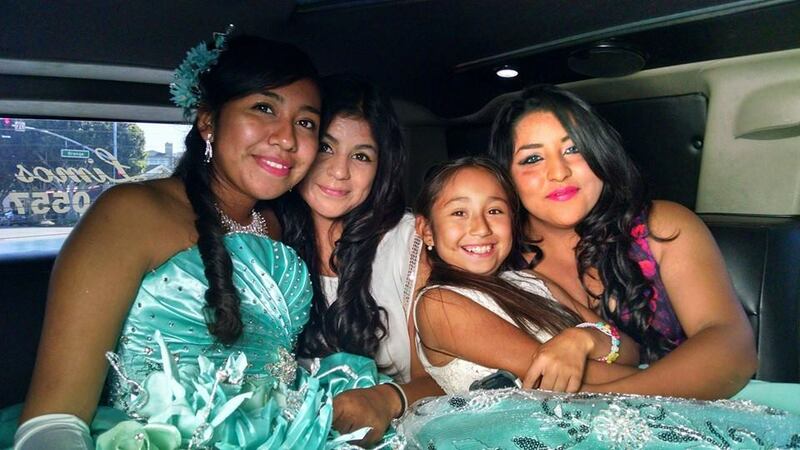 Need luxury limo for your Quinceanera celebration? Hola! Do you have a Quinceanera celebration coming up? If so, Evansville Limo Service can provide luxurious transportation for your birthday girl to the destination of her choice through out the entire Evansville, Tri-state area. Whether you and your birthday girl want to just tour around town or have a particular destination in mind, our professional and knowledgeable chauffeurs will make your drive entertaining and enjoyable. We here at Evansville Limo Service know how important this day is to your daughter and her family. Turning 15 years old is the first step toward womanhood. it is a time to give thanks to God for blessing you with her, giving you an opportunity to present this young woman to the community. We are here to help make your Quinceanera celebration memorable in the hearts and minds of your family. Give us the opportunity to serve you by doing what we do best... giving individuals and families like yours, the ultimate way to travel around town..in a luxuriously, chauffeured limousine. What better way to give your little girl the celebrity look she deserves, than by showing her off around town in one of our immaculately, stylish limos. Trust me when I say, She will be the talk of the town. So if you are going to spend some quality time with your birthday girl, on her special day, why not do it style with Evansville Indiana's premier limousine service, Evansville Limo Service. Get you affordable Free quote right now.